While driving home from a Civil War Re-enactment, I talked with my mom, wishing there was some way to give serious researchers a larger platform to share their studies through presentations. Wishing there was an annual, affordable event in Southern California that brought Civil War history presentations to the public history arena. 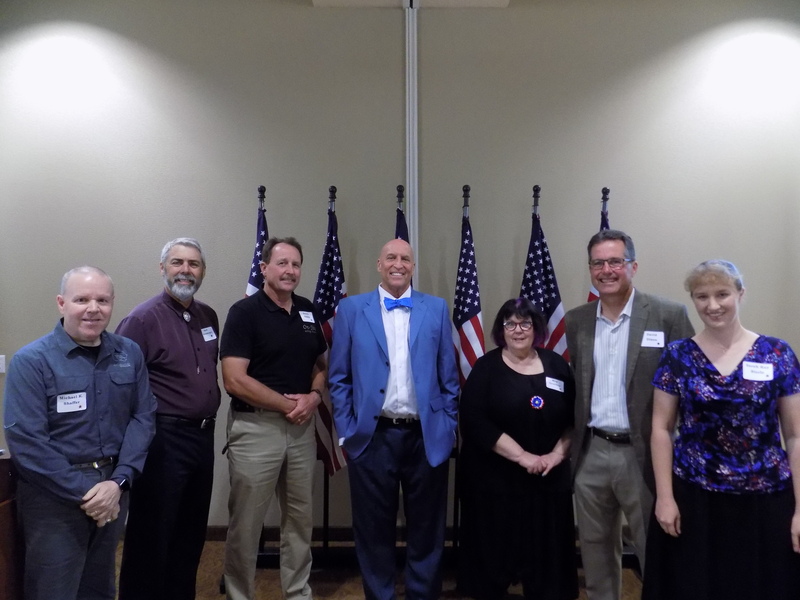 I wanted to build on the idea of Civil War Round Table conferences and work closely with the local round tables to offer another event to the California communities. By the time we reached home that evening in 2015, I had list of potential speakers and a list of logistics to figure out to determine if the conference could actually happen. I started making phone calls the next morning. Seven months later, in 2016, Gazette665 hosted 1861: Marching To War. That was the beginning, and each year we learn something new, make improvements, and keep striving to offer a relevant and innovative event. Create a conference that feels like a family reunion (in all the best ways) – an opportunity for historians, researchers, and history buffs to get together to visit, learn, and share. Listen and think about ways to innovate and improve for the next event. Continue reaching to Civil War Round Tables and other historical organizations to promote all types and levels of history education in the local communities. Second, the conference keeps growing! Thank you to all the guests for their interest and attendance. We also appreciate all the feedback so we can continue building the event and bringing history that’s interesting to YOU. For the first time ever, the conference team had to discuss “what’s the seating limit in the room.” We haven’t quite reached the limit (there are still a few tickets available), but it was milestone moment to have to think about it. Events don’t happen without a team. I’m incredibly grateful for my family and friends’ support (and tolerance) of the history conference and for helping out on event day. Each year we also work with a wonderful team of speakers who bring their enthusiasm, research, and speaking skills to the podium to help all of us gain a better understanding of history. This year we’re also excited to welcome four historical groups who will be sharing historical displays throughout the afternoon! To the Gazette665 Conference Team past, present, and future – thank you! It’s a privilege to work with you. Immediate ahead (as in this Saturday), Gazette665’s Third Annual Civil War History Conference. And if you’re reading this blog post, want to attend, and don’t have tickets – you literally have hours left before registration closes at midnight on May 30, 2018. Beyond this Saturday, I can safely tell you that the Fourth Annual Civil War Conference is already in the works. We’ll be releasing the event theme this coming weekend. Several speakers have been confirmed for 2019, and the official speaker list will be released in the autumn. And we’re thinking about adding another history conference. A different era. It’s just a possibility at this point, and you’ll be among the first know if/when it’s time to move forward officially and publicly with that idea. See you on Saturday? Don’t Forget To Register!